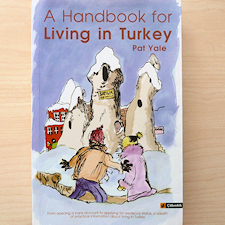 Welcome to Turkey from the Inside, the website of Pat Yale that aims to help you make the most of your time in the country. Come here to find out not just about the most popular places to visit such as Istanbul, Ephesus and Cappadocia, but also about the off-the-beaten-track destinations that you may have to yourself. Here’s why you can trust me to help you. Here’s how this website works. For information about a place or a hotel, read the main pages. To read an article about a particular place click on the link to my Sunday’s Zaman column. 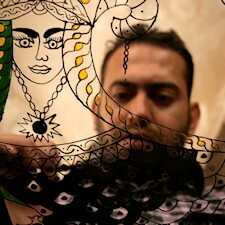 To find out where I am and what I’m doing go to my blog, bloggingaboutturkey. To find out what books to read about Turkey go to my readingaboutturkey blog. And to learn what’s new click on my Twitter feed, @patyale. Here’s what turkeyfromtheinside covers and what it doesn’t. Apologies. This site will be under construction for some time. If you don’t find what you want the first time, please do try again later. • I worked on the Lonely Planet Turkey guidebook for 10 years which gave me the opportunity to travel all over the country from Edirne to Rize and from Datça to Hakkari. • Since 2007 I have been writing a travel column for the Sunday’s Zaman newspaper which has let me fill in the off-the-beaten-track gaps such as Arykanda and Yedikilise. • From 2005 to 2010 I also wrote a travel page for Time Out Istanbul in English. It focused on destinations within easy reach of Istanbul such as Enez and Trilye. 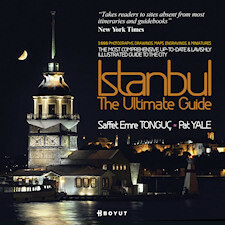 • I am the author, with Saffet Emre Tonguç, of Istanbul The Ultimate Guide/Istanbul Hakkında Her Şey which covers some of the less known corners of the city as well as the highlights. • I worked on one edition of the Little Hotel Book which let me visit most of Turkey’s boutique hotels, and I’ve worked for Northstar Media, inspecting most of the country’s four and five-star chain hotels. 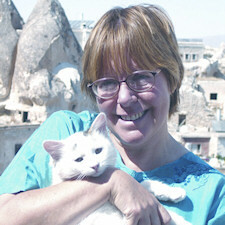 • I’ve lived in Cappadocia for 12 years and am the author of A Handbook for Living in Turkey. I’m a historian who loves old buildings and beautiful landscapes. I love visiting ancient ruins, old mosques and castles, and enjoy poking about in markets and down back streets. I always prefer hotels created out of lovely old or interesting buildings and displaying an awareness of their surroundings rather than those in standard high-rises. Likewise, I enjoy eating in interesting buildings wherever possible. If that sounds the sort of thing you enjoy too, then hopefully I can help you. I’m not really a beach bunny or a great lover of nightclubs. If that’s your scene, then Turkey can more than fulfill your expectations but Turkey from the Inside may not be the right website for you. Sorry. Here's why you can trust me to help you. • I co-wrote the award-winning Lonely Planet Turkey guidebook for 10 years which gave me the opportunity to travel all over the country from Edirne to Rize and from Datça to Hakkari. • Since 2007 I have been writing a travel column for the Sunday’s Zaman newspaper which has given me the chance to fill in the off-the-beaten-track gaps such as Arykanda and Taraklı. • From 2005 to 2010 I also wrote a travel page for Time Out Istanbul in English that focused on destinations within easy reach of Istanbul such as Enez and Trilye. • I was the co-author of the award-winning Istanbul The Ultimate Guide which describes many of the less well-known corners of the city as well as the highlights. • I've worked on the Little Hotel Book which let me visit most of Turkey’s boutique hotels, and for Northstar Media, inspecting most of the country’s four and five-star chain hotels. • I’ve lived in a restored cave-house in Cappadocia for 14 years and am the author of A Handbook for Living in Turkey, the first guide to expat life in the country. Here’s how this website works. For information about a place or a hotel, click on the Places to Go and Places to Stay links. Under Places to Go you will also be able to read some of my Sunday’s Zaman travel columns. If you're reading this on a mobile device, scroll down the page to find the menus. To find out where I am and what I’m doing go to my blog, bloggingaboutturkey - thoughts reverent and irreverent from on the road in Turkey. 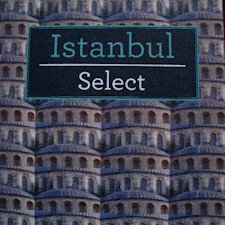 To find out what books to read about Turkey click on Turkish Book Reviews. To learn what’s new in the Turkish twittersphere click on my Twitter feed, @patyale, at the top right of the page. The Photo galleries contain images of things that have interested or amused me on my travels. The Turkey of the Regions section does, however, aim to remind people that this used to be a country of great diversity in architecture, clothes and food. The Facebook page linked to this site (https://www.facebook.com/turkeyfromtheinside?ref=hl) has pictures of places I'm visiting, market, monuments etc plus any important news about Turkey or the site. I’m not really a beach bunny or a great lover of nightclubs. If that’s your scene, then Turkey can more than fulfill your expectations but Turkey from the Inside may not be the right website for you. I'm working as fast as I can but Turkey is a huge country and there's only one of me, so if you don’t find what you want the first time, please do try again later. Summer is here and with it the long, hot days especially in eastern Turkey. It's also Ramazan which complicates some aspects of travel here too. Looking for somewhere a little off the beaten track to visit? Then Darende between Kayseri and Malatya might just fit the bill. If you're visiting İstanbul or any of Turkey's coastal resorts Ramazan, the Islamic month of fasting, is unlikely to affect you very much. In the east, however, it's a different matter.